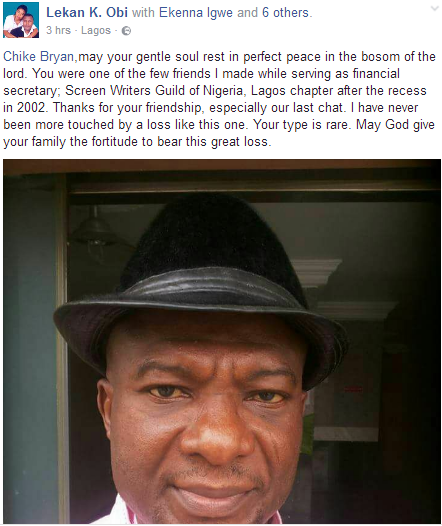 Meanwhile his friends and colleagues have taken to social media to pay tributes to him. Continue to read the tributes below.. 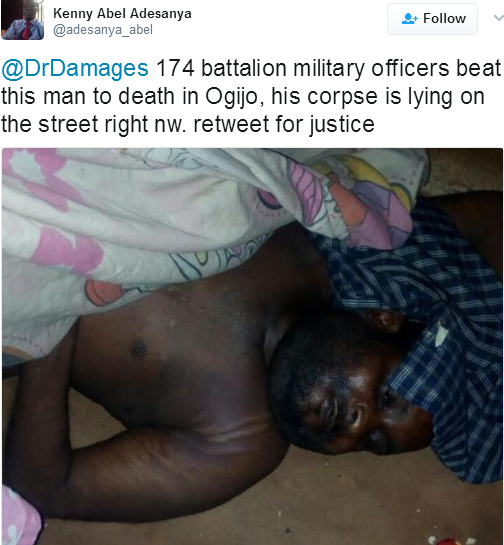 According to this twitter user, Kenny Abel Adesanya, men of the 174 battalion in Ogun state, beat the man pictured above, to death in the Ogijo area of the state yesterday March 24th. According to reports, the deceased was owing his landlady two months house rent. The landlady invited the soldiers to intervene and they ended up beating him so badly he was admitted to hospital. He was on admission for some days but died yesterday. 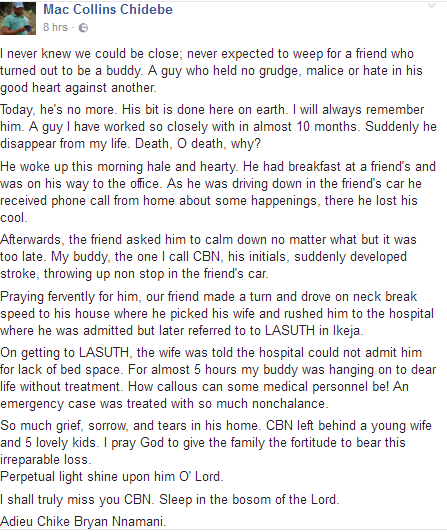 His Family members in anger, carried his corpse and dumped it in front of the Landlady's house. The said Landlady has since been arrested. 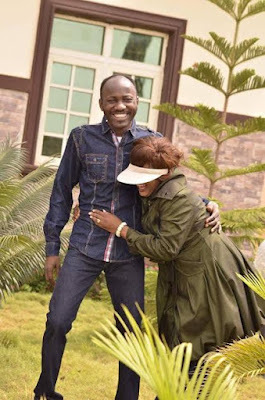 The Edo state based Apostle and his wife Lizzy, pictured playing in their garden as they celebrated his birthday yesterday March 24th. 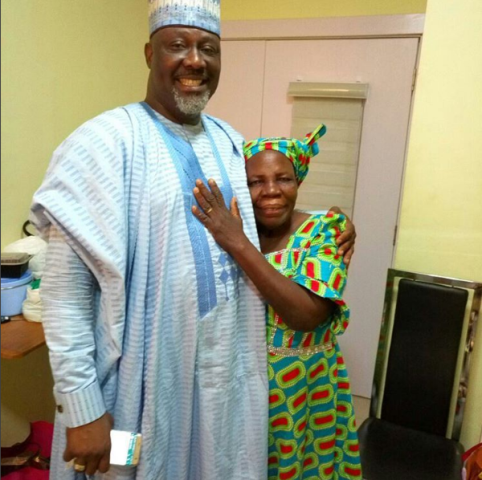 See more photos below..
President Muhammadu Buhari has sacked a Permanent Secretary, who has been using his office to defraud the Federal Government by awarding contracts worth billions of Naira to himself through the award of phantom contracts.The yet to be identified secretary, who was appointed by Buhari in 2015, was dismissed on Tuesday, on the orders of the President. 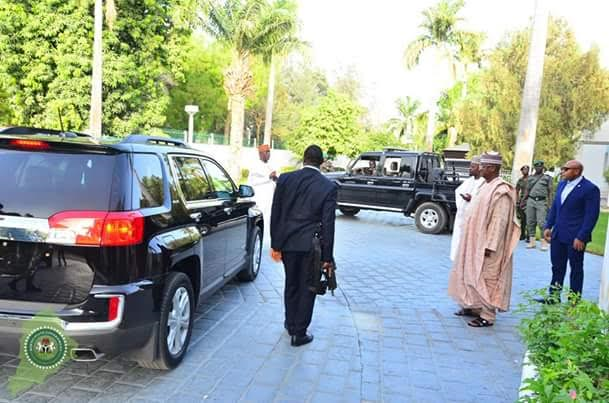 He was driven out of the Federal Secretariat in Abuja by two police officers following his dismissal. 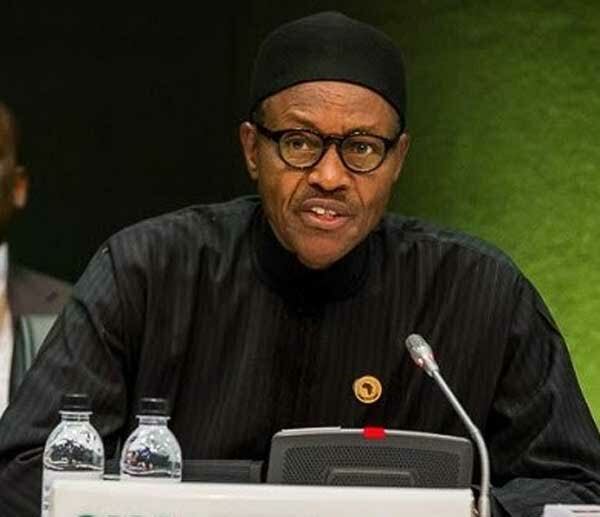 A Presidency source confirmed that the President ordered the immediate removal of the top civil servant, who presided over the affairs of one of the strategic ministries handling intervention programmes in the country following evidence that he awarded contracts to companies belonging to him. It was learned that the illicit activities of permanent secretary were exposed by key officials of the ministry to security agencies for investigations. 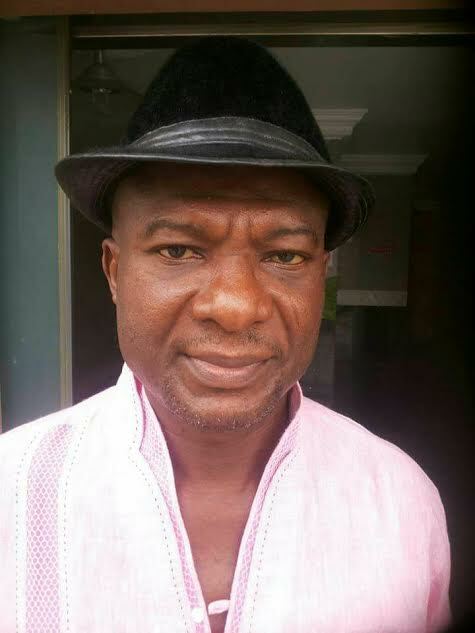 “We have been monitoring the man and the various companies being used by him to siphon huge sums of money from the ministry, which handles intervention programmes in the Niger Delta region but he has been very smart and suspicious of our movement, thereby making it impossible for us to arrest him despite the ambush we laid for him and his cronies. 'In fact, the discovery of the large-scale fraud in the ministry, which has suffered a lot of project failure and the subsequent sacking of the permanent secretary by Mr. President, followed a painstaking investigation by the anti-corruption agencies, which will soon charge the man to court,' the source added. 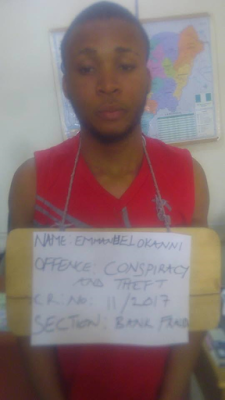 A fraudster paraded by Abia State Police Command has confessed that he was once a victim of fraud, adding that the people that defrauded him later introduced him to the crime. 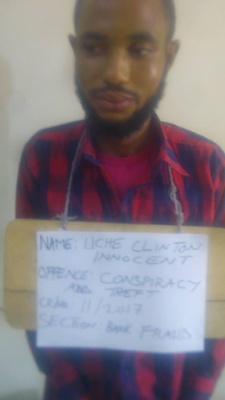 The suspect identified as Nwokacha Lucky and his accomplice Rekiyat Sunday were arrested on Owerri by Kaduna Street in Umuahia, the state capital following a distress call put across to police operatives at the Central Police Station, Umuahia. 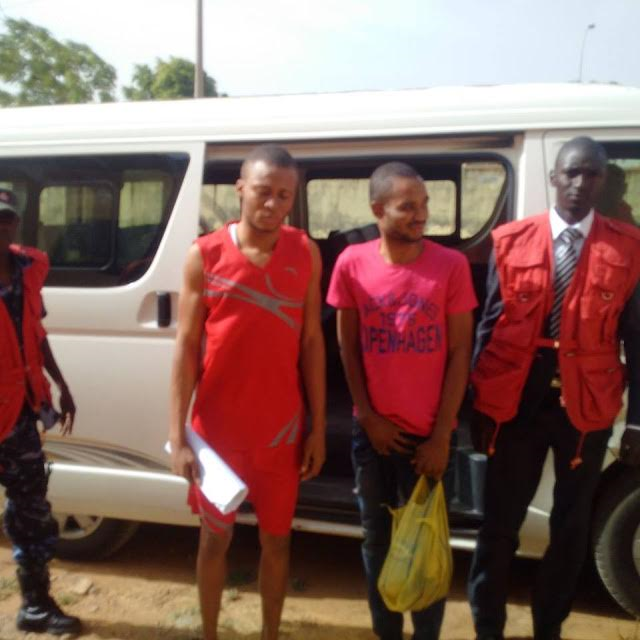 It was learnt that Lucky and Rekiyat were members of a 419 syndicate, who specialised in picking unsuspecting passengers to unknown destinations to defraud and rob them of their belongings. 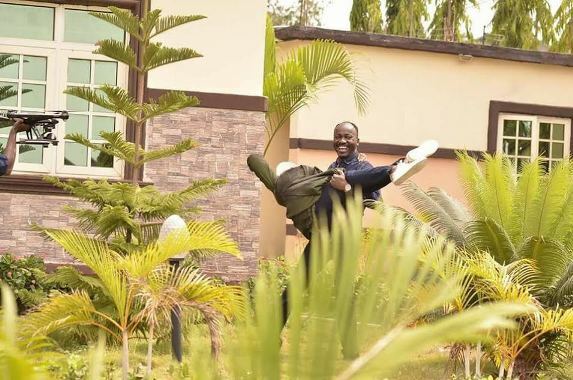 The state's Commissioner of Police, Adeleye Oyebade, who paraded the suspects at the Command headquarters in Umuahia, told Southern City News that the hoodlums were intercepted by the mob while attempting to pick an unsuspecting victim in the state capital. He said the suspects had confessed to the crime, while their victims had surfaced and identified them. He added that one Volkswagen Vento saloon car with Registration No. PBT 422 DT was recovered from the suspects and added that investigation was still ongoing to fish out other members of the syndicate. 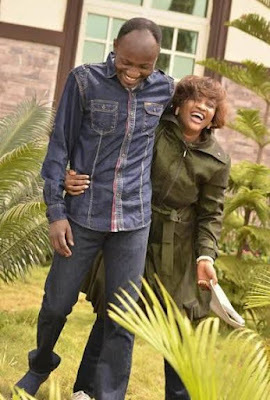 Responding to questions from our correspondent, Lucky said he became a fraudster over two years ago after he was duped by some members of the syndicate while embarking on a journey. 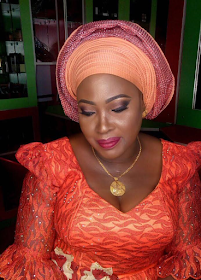 On her part, Rekiyat said her duty was to sit in the car, adding that after an unsuspecting passenger entered the car, she would introduce a discussion about certain amount of money she allegedly took away from her master, which she would want all the passengers to share with her. 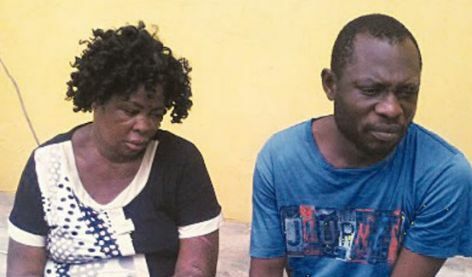 The widow, who claims the death of her husband led her into the nefarious act, said, “If the passenger we want to dupe develops interest in sharing the money with us, one of us will suggest that we should visit a pastor who will pray for the money before we share it. "Sweet mother I love you". 'To those individuals who have interpreted and commented on what my thoughts were in that horrific and distressful moment, I would like to say not only have I been devastated by witnessing the aftermath of a shocking and numbing terror attack, I've also had to deal with the shock of finding my picture plastered all over social media by those who could not look beyond my attire, who draw conclusions based on hate and xenophobia. 'My thoughts at that moment were one of sadness, fear, and concern. 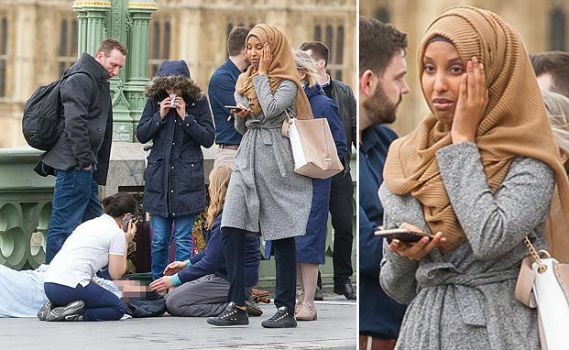 What the image does not show is that I had talked to other witnesses to try and find out what was happening, to see if I could be of any help, even though enough people were at the scene tending to the victims. 'I then decided to call my family to say that I was fine and was making my way home from work, assisting a lady along the way by helping her get to Waterloo station. 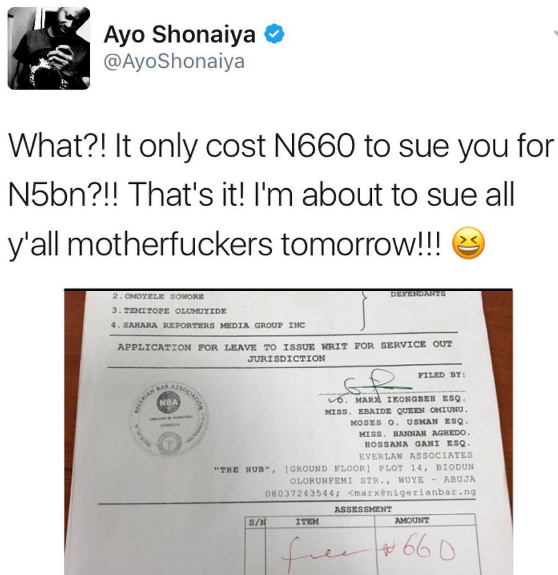 Processes leading to the premiere of Okafor’s law a movie by actress and filmmaker Omoni Oboli were underway when she got a court injunction that stopped the premiere. Someone accused the popular actress of "stealing". 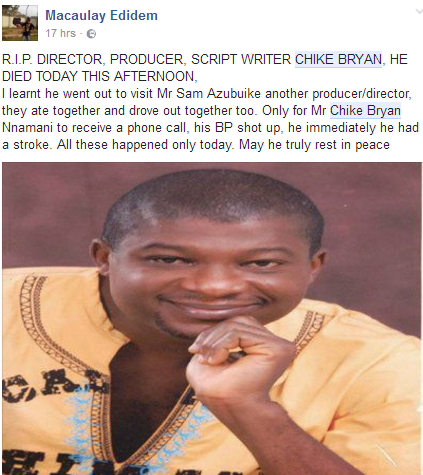 Okafor’s Law was supposed to be premiered at IMAX cinema, Lekki, on Friday night and scheduled to show at the cinemas on March 31. 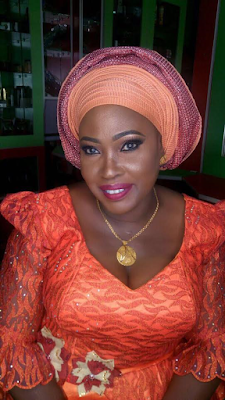 While addressing guests at the premiere, Oboli said she chose to respect the court injunction as a law abiding citizen while describing the court process as bullying. “I’m so honoured that you’re all here today, thank you so much. Thank you for honouring me, thank you for your support over the years, thank you for always being there when I call. It means so much to me, and I don’t take it for granted,” she said. “I was really looking forward to showing you the movie tonight. The movie screened at Toronto International Film Festival, Stockholm International Film Festival and in America, but all that is nothing if Nigerian people don’t see it. “Unfortunately, we can’t show the film. At 5pm, we got an injunction from the court not to show this film. 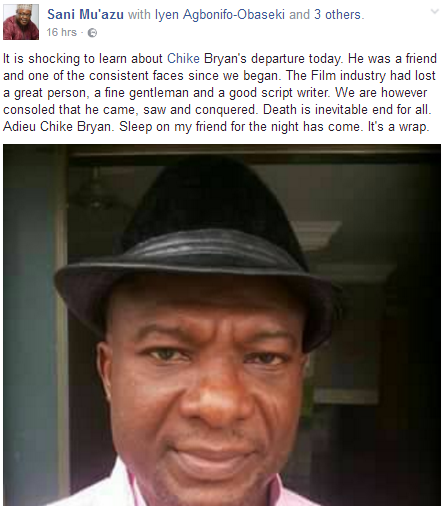 I’m sure some of you heard some allegation sometime ago, but, my story, my script, my movie, was written 100% by me. You can take that to the bank. “What anybody says, what anybody does, it’s all a lie. I don’t know why this is happening, I work hard. “It’s a shame that anybody would want to stop this. I mean, it has been a long process, we shot this movie last year, we have gone everywhere, we have put in so much money, publicity and everything, and some people are trying to stop it. “God is on the throne and it’s fine. It will all come out in the wash. This is not going to stop me, I’m going to keep pushing. “I could have gone ahead to show this film today, but I’m a law abiding citizen and I have to follow the law, unfortunately. According to the injunction, the complaint was filed by Raconteur productions. The injunction gave permission to the applicant to search a location where copies of the movie were stored. It also directed the defendants to surrender all materials inscribed with ‘Okafor’s Law‘ to the applicant’s lawyers. After all, the bible made reference to God raising stones to praise him if man will not, so it’s no surprise that a horse is doing evangelism. It's like men have refused to do it. Lol. 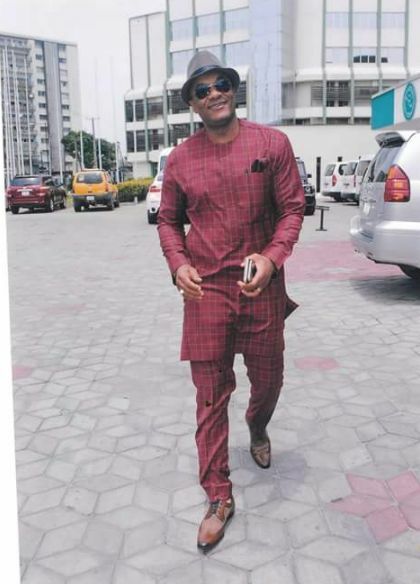 Nollywood star Saint Obi is still as handsome as he was back then in the film industry. He's Cute! Because there's wide media coverage in Lagos, some ladies are fast to talk bad about men in Lagos in the guise that men from their own states are better. 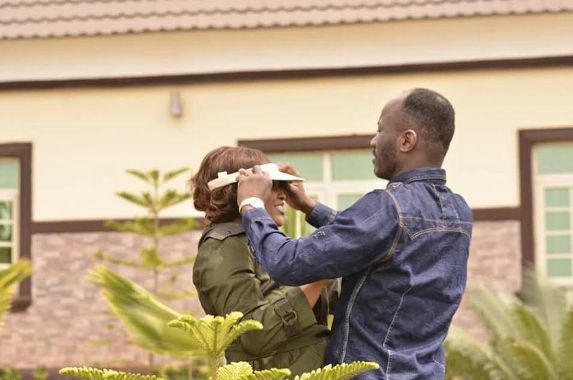 Have you seen a young man marrying two wives at once in Lagos before? But go to some parts of the East and South South you will know that Lagos men are even more cool headed when it comes to marriage. Lolz! For obvious reasons, this wedding banner has gone viral online. 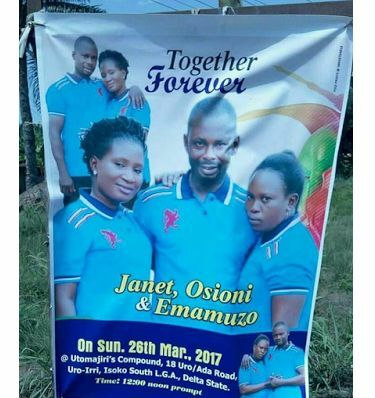 It shows a young man who's set to get married to two women at once in Isoko South area of Delta state. Some say there was peace, especially in Africa, when men used to marry as much as they can take care of. 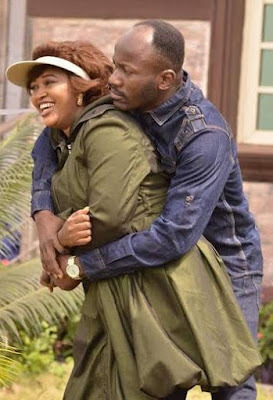 All these stories of cheating, renting a house for girlfriend without your wife's knowing and even contacting infection and taking it back to your wife were not there. No wonder a Catholic Priest in Nasarawa state said Christians should add their tradition to religion. 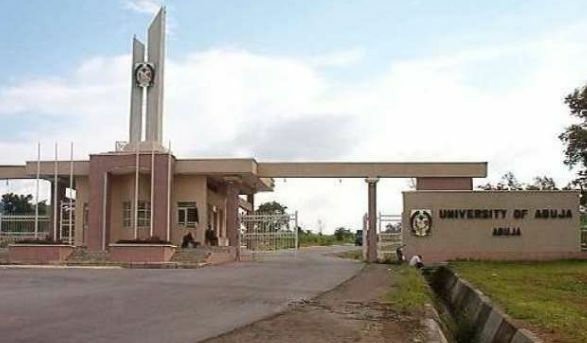 The Governing Council of the University of Abuja (UNIABUJA) has approved the immediate termination of appointments of Mr. Jude .O. Nwabueze of the institution’s Transport Unit and Mr. Nurudeen T. Yusuf of the University Medical Centre for acts of insubordination. This was contained in a statement issued by the university's registrar, Mrs Rifkatu Hoshen Swanta. 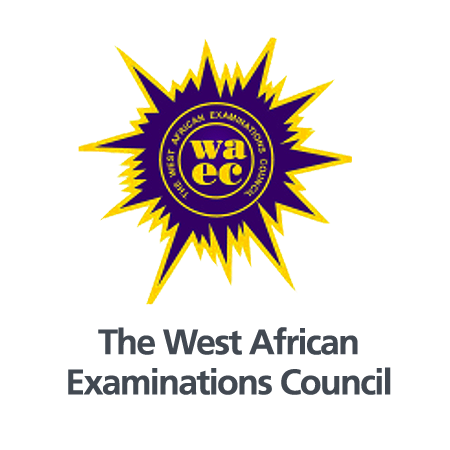 Mrs. Swanta said the decision to sack the duo was based on the recommendations of the Council Disciplinary Committee which was approved by the Governing Council at its 76th regular meeting. 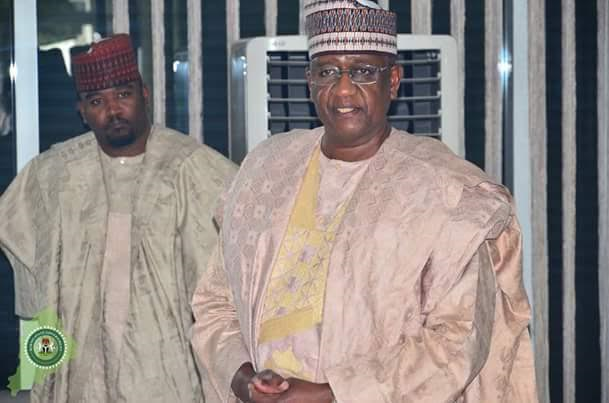 Alhaji Mohammed Indimi, Maiduguri billionaire, and In-law to President Muhammadu Buhari has described Governor Kashim Shettima'srecords of achievements in Borno as unbelievable, saying it surprises him, how the Governor has changed the faces of Maiduguri and other parts of the State despite meagre resources and management of the Boko Haram insurgency. 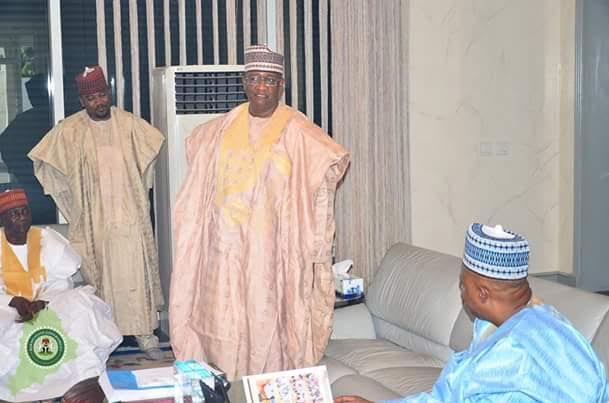 Indimi stated these while receiving Governor Shettima at his expanse residence in Maiduguri on Thursday evening. 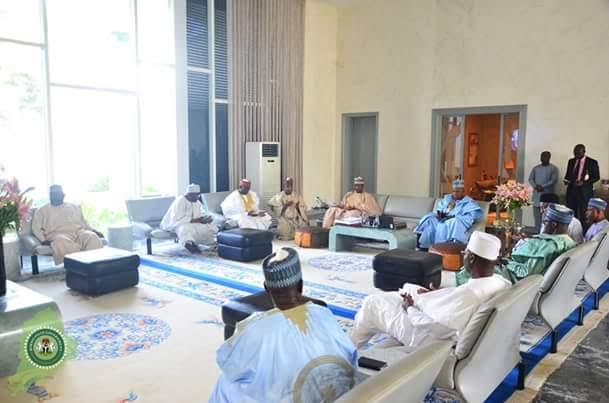 The Governor’s visit was to follow up on Indimi's pledge to make huge contributions in areas of infrastructure and agriculture to support ongoing efforts by the Government to rebuild homes, rehabilitate and resettle internally displaced persons in safe communities destroyed by insurgents. 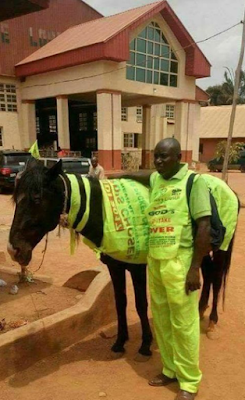 "What you are doing in Borno State despite small resources is unbelievable. I don't know how you do it. You have completely changed the faces of Maiduguri. I have been to many states and I can say that many leaders do not come close to what you are doing in Borno State. In the past, whenever I had foreign visitors coming to visit me in Maiduguri, I made sure they arrived Maiduguri at night so that they wouldn't see horrible sights, but today, I make sure my visitors come in the day time because I am proud of what they will see on entering Maiduguri. If you arrive Maiduguri today, you will know there is Government in place. The city is becoming more and more beautiful and I am very proud because today my State (Borno) can compete with any State in this country. Sometimes I feel as if I am the one telling you what to do and the reason is that most of your developmental projects are things I always wish for Borno. I don't know how your mind works, maybe from your background, but really you are doing so many things and we have to support you" Indimi said. 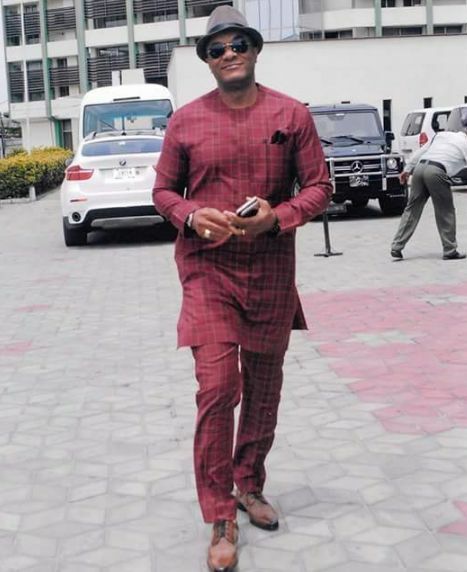 The Billionaire said in addition to what he sees going on, he had sent a group of his children to visit sights of some ongoing Government projects taking place outside the city centre and the reports he got were very positive. Indimi promised to intervene in areas of modern agriculture so as to create livelihoods for internally displaced persons who return to safe communities. "What I want to do is get closer to Bama, where I can get atleast a 1000 or 2000 hectares of cultivable land to build modern farms that at least half of returnees can earn their livelihoods by the time people from the city depend on their produce. I want to do the same in other locations like Ngala and other places. Apart from farming, I will support in the area of infrastructure. I am sure between now and 2019, if am alive, insha Allah, I will fund some projects but it is for you to decide what you want us to do. I really really appreciate what you are doing in Borno State, honestly and we will support you, insha Allah. I also want to appreciate your humility. 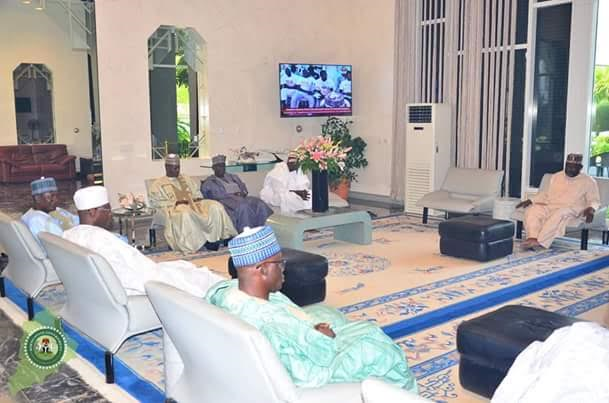 I requested to come to see you in your office at the Government House but you insisted on coming to my house. I thank you for the honour" Indimi said to Shettima. 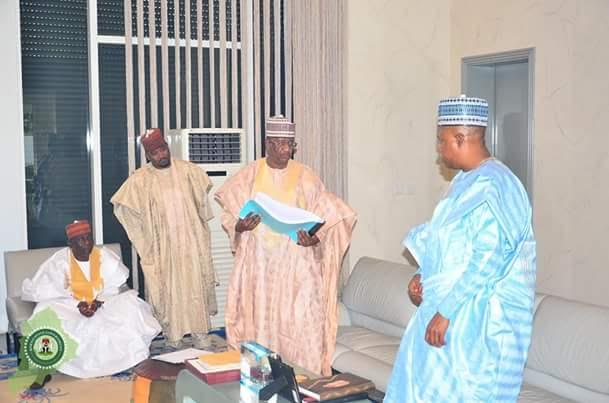 The Billionaire business man said efforts must be combined to rebuild the economy of Borno State with particular focus given the places like Baga where where nearly 50% of Borno's economy was coming from prior to insurgent attacks. 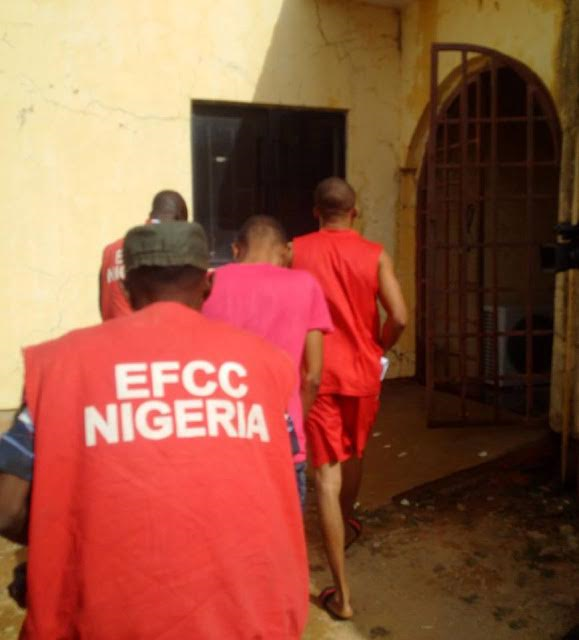 The Economic and Financial Crimes Commission, EFCC on Thursday, secured the conviction and sentences of two men before Justice Sa'ad Muhammad of the Gombe State High Court on two count charge bordering on conspiracy and theft. 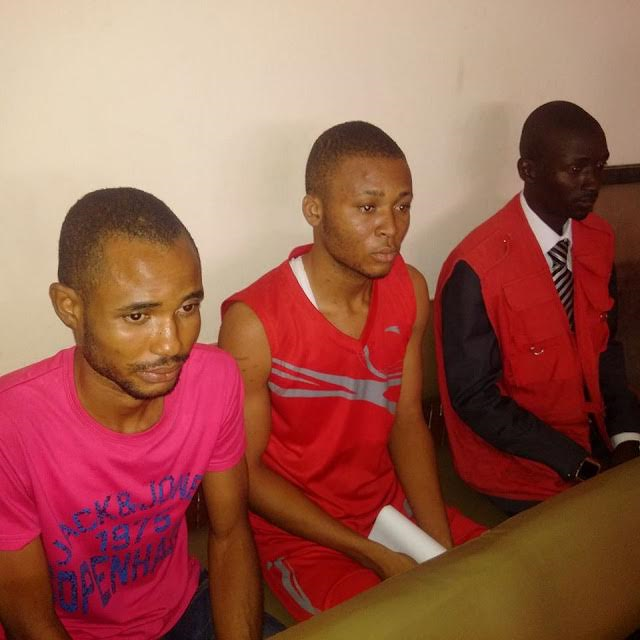 The duo, Innocent Uche Clinton and Emmanuel Okanni, both are from Orlu Ngaba Local Government Area of Imo State. They specialize in scamming unsuspecting members of the public by sending text messages claiming to be from customer care of different Banks and telling the recipients that their transaction accounts were closed due to BVN issues and asked that they disclose their BVN in order to rectify the problem, thereby defrauding them. 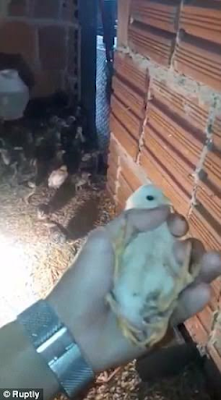 A bird has been born in Brazil with four legs. 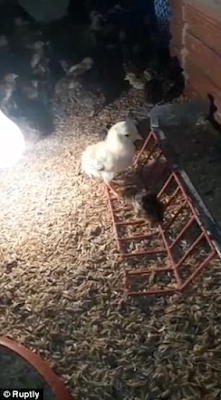 The strange bird, which was born in a farm, surprised spectators and left biologists confused, but the bird seems happy and unaffected by its extra limbs.A video showing the fluffy white bird walking with all four limbs has been shared online and the bird doesn't seem to have any difficulties using the extra appendages. The reason why the bird was born with two extra legs is still unknown and biologists are still trying to explain it away. In the meantime, It has been given the name "franken-chicken." Keep Reloading OBJ aswers will be posted soon.. When a lady gets to that stage that she believes those who are working are wasting their time and it is easy for her to make money with her body, you're sure to get acts like this or worse. Her name is Shatira, she's one of black ladies in US threading this path. See the photos below.. I can't even share all the photos here, they are too rough, if your understand what I mean by that. 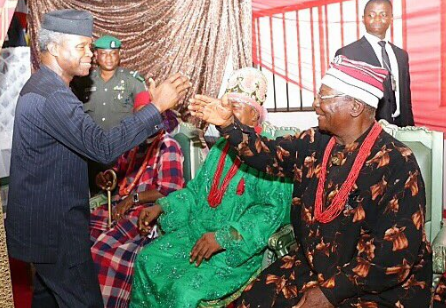 Friday, Vice President Osinbajo was in Abi State as part a the series of Niger Delta Dialogue visits. 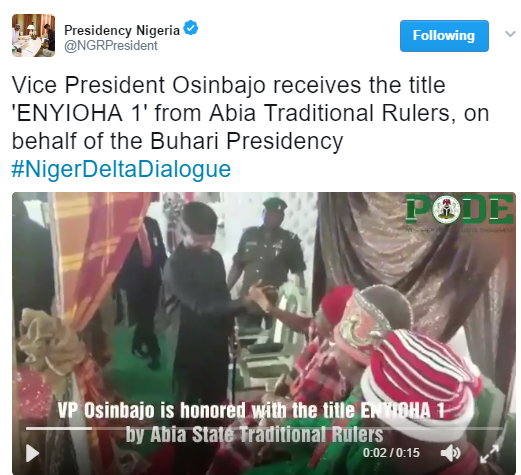 He received the title 'ENYIOHA 1' from Abia Traditional Rulers, on behalf of President Buhari. Just so you know, 'ENYIOHA' in Igbo language means 'The Great Elephant'. 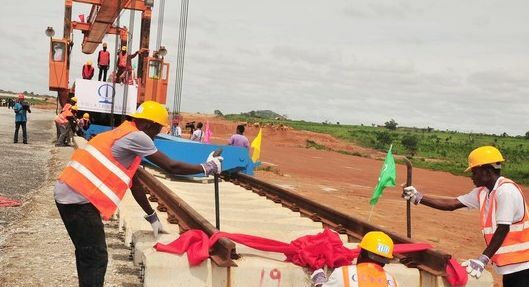 The Peoples Republic of China Ambassador to Nigeria, Zhou Pingjian, has said his home country had approved $5 billion to support infrastructure projects in Nigeria. 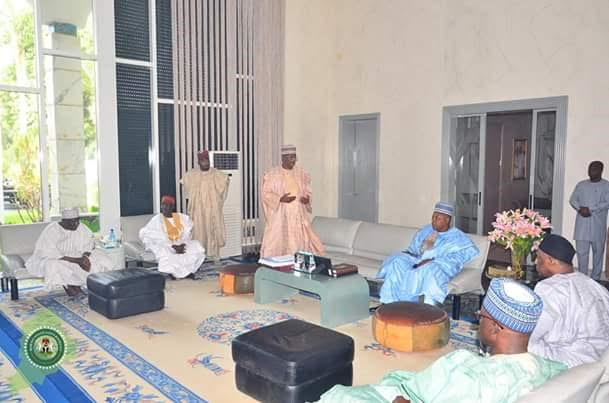 Pingjian stated this when he paid a courtesy visit to the National Chairman of the All Progressives Congress (APC), Chief John Odigie-Oyegun, at the party’s secretariat in Abuja yesterday. The Chinese envoy requested the party’s support in ensuring Nigeria’s ‘full execution’ of China’s policy between both countries. Pingjian, who was accompanied by the Chinese Deputy Ambassador and Political Officer, further intimated members of the APC National Working Committee (NWC) present on China’s domestic politics and China-Nigeria strategic bilateral relations. 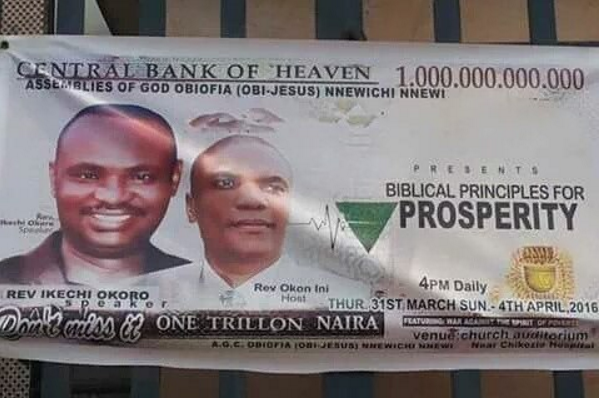 Central Bank of Heaven!? Let's just leave this here. 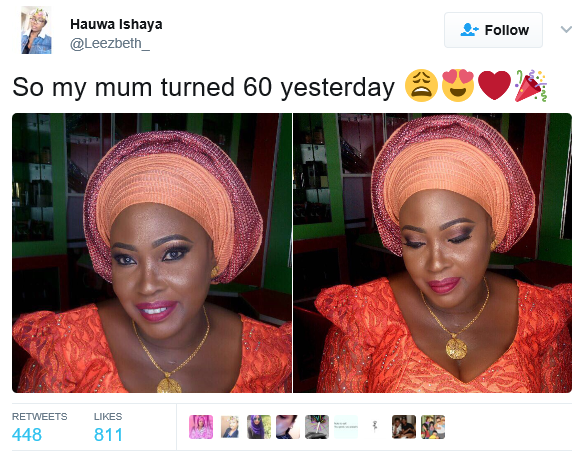 The woman's daughter posted the photos on Twitter. See what she wrote below..
Jerusalem’s Deputy Mayor, Yosef Daitsh and Councilor Hanan Rubin last week hosted Pastor T.B. Joshua, one of the most prominent supporters of Israel and the Jewish people in the world, as he visited Jerusalem. T.B. 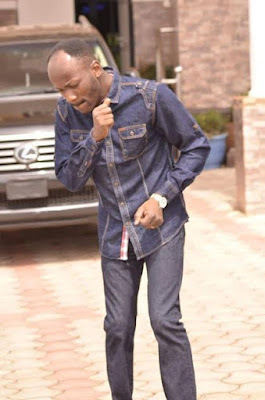 Joshua is considered one of the world’s most popular pastors, with 2.8 million followers on the Facebook social network. According to YouTube, his videos have been seen by more than 300 million people worldwide. He is considered to be a great supporter of Israel and even calls his church “The Synagogue, Church Of All Nations". During the visit to the Jerusalem Municipality, T.B. Joshua received an honor from Deputy Mayor, Yosef Daitsh (United Torah Judaism) and Councilor Hanan Rubin (Awakening). The two gave him the pin of the "Lion of the Tribe of Judah" of Jerusalem as they surveyed the city and shard with him its challenges. 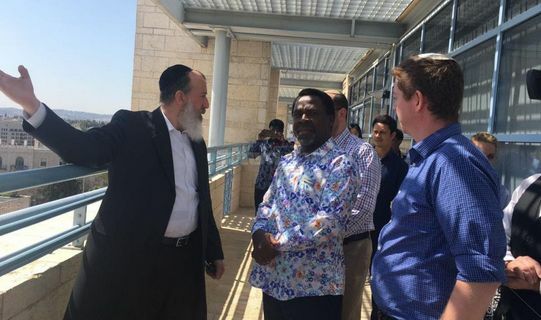 Following the visit, Councilor Hanan Rubin wrote on Facebook: "My friend - Deputy Mayor Yossi Deutsch and myself were privileged to host T.B Joshua Ministries, a large supporter of Israel and Jewry worldwide. Beyond explanations and pictures, I learnt from him an important lesson in modesty. A person with 2.5 million Facebook fans and tens of millions(!) who view him as a saint, going around in simple clothes, without graces of honor, coming to Israel as a guest and significant donor of ZAKA, (via his friend - ZAKA Chairman Yehuda Meshi-Zahav), and goes around as an ordinary person for just one goal - to repair the world - is something exemplary." T.B. 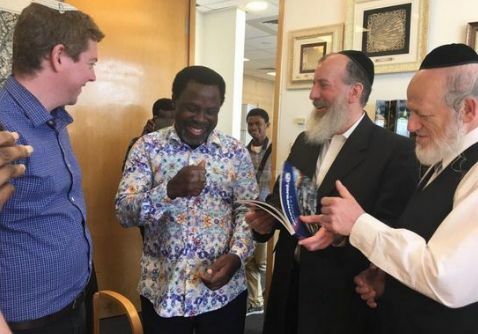 Joshua was very pleased with his visit and asked to share the visit on his official Facebook Page: TB Joshua Ministries, which has 2.8 million followers. His supporters and followers were also excited and received thousands of shares on social networks, some in Africa and some around the world, and the rate of sharing is rising at this moment. As a result, councilor Rubin received nearly 3,000 requests from companies, mainly from Africans.